"Early this morning, SONIC Digital media software announced they will be providing Nintendo with its CinePlayer CE DVD Navigator, a software that will allow the Wii to play DVD movies. This comes amid conflicting reports, and is the first confirmation of a Wii’s DVD playability in markets outside of Japan. The software isn’t expected to be released until sometime late 2007." Since Cineplayer CE DVD Navigator is a software, we should be able to download this upgrade in the Wii channels next year. It seems that the Wii would've been priced more at launch because of the licensing fees to provide this player into each Wii. This is pointing more and more (since we are doing to have access to massive amounts of download content) that allowing us to use and external hard drive for mass stored is the way to go. Who want to have so many SD cards that will get lost and not cost friendly??? You can get a 1 gig SD card at Target for pretty cheap. A DVD software player would be 100 Megs at the most(at least it should be). Why would i want pocket full of SD cards when i can have one huge external hard drive to store all. I'm sure Nintendo will allow for a PC connection, so you can get your storage from there. I believe this was mentioned before as well. Do you think that I will be able to use my external hard drive for storage? I thought I read somewhere that I could but since then, information regarding the subject has been scarce. Hello, I got WII ( month ago ) in Singapore. Is it possible to use WII to play DVD / VCD movies? 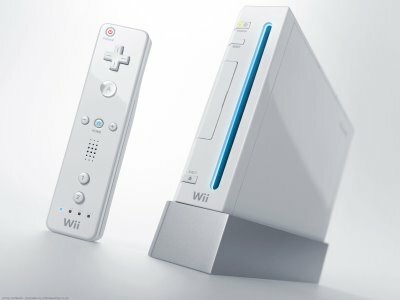 well i dont know about you guys but i am using a card reader with my pc to save all of my wii downloads onto my computer. i just sneaker net the card from the wii to my pc where i copy everything off and then wipe it then i put it back in the wii and all that storage is avaliable again. that and i am using a 2 gig card, no hassle, no muss no fuss.